RAJNEESH:: Rajneesh Chandra Mohan Jain (December 11 , 1931 - January 19 , 1990 ), better known during the 1970s as Bhagwan Shree Rajneesh and later as Osho, was the founder and leader of a controversial new religious movement who lived in India and the United States . 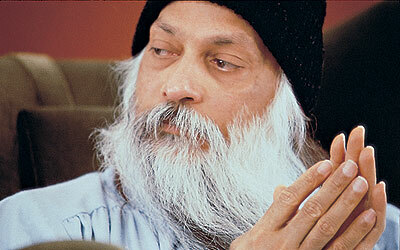 Osho (Rajneesh) opposed the established religions, saying they are no longer appropriate for the accelerated pace of modern life, and vowed to do everything possible not to let his followers create an organization around his teachings. He claimed that the greatest values in life are (in no specific order) love, meditation and laughter, and that the sole goal of human life was to reach spiritual enlightement.